As the Government and NHS England work to implement the ambitions of the NHS Long Term Plan, PAGB is calling for a national self care strategy. 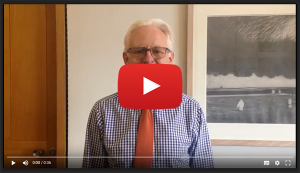 Coordinated national leadership and action to promote self care is vital to achieving the behaviour change required to support a meaningful shift towards prevention and ensure the NHS’s future sustainability. In March 2019, PAGB launched a White Paper, setting out a series of policies which must be implemented to create and embed a culture of self care, including supporting people to manage their own health, tackling health inequalities and reducing pressures on NHS services. It follows the publication last year of PAGB’s interim white paper on the same topic, and draws on the opportunities and ambitions of the NHS Long Term Plan to align with national policy. At the heart of the white paper is a call for a national strategy for self care. This national leadership is needed to overcome the key challenges to supporting people to take greater ownership of their health and wellbeing, including low health literacy. A Self Care White Paper: supporting the delivery of the NHS Long Term Plan follows publication of PAGB’s interim white paper ‘A long-term vision for self care’ in 2018, which took a national view of the importance of self care and its wider role in healthcare. 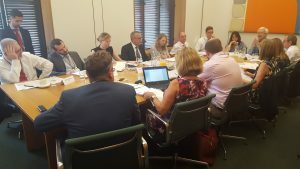 PAGB’s Interim White Paper was launched to coincide with a parliamentary roundtable event on 18 July 2018, Creating a sustainable future for the NHS: a roundtable discussion on a National Self Care Strategy. The event, chaired by Martin Vickers MP and hosted jointly by PAGB, Self Care Forum and the Royal College of General Practitioners, invited MPs and key stakeholders from the health sector to discuss self care in the context of a new long-term vision for the NHS, setting out the key priorities for a national self care strategy, and how best to drive system-wide behavioural change. Download a summary report of the meeting: ‘Creating a sustainable future for the NHS: a roundtable discussion on the need for a National Self Care Strategy’.